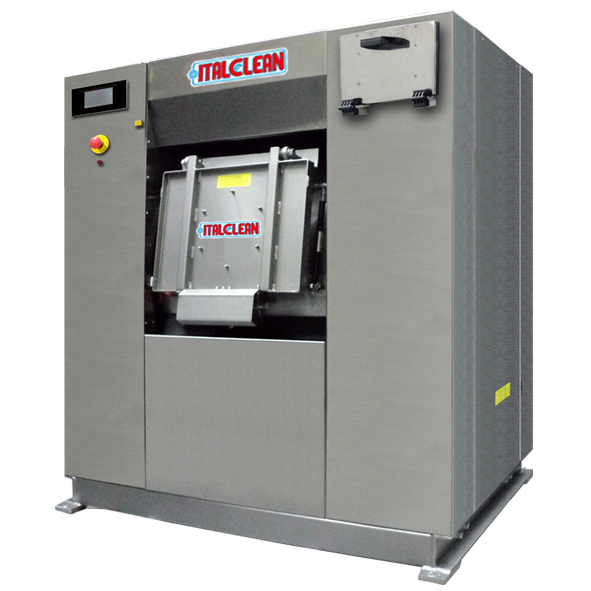 The ITALCLEAN barrier washer extractors meet the demands of hospital and clinics, where the separation of clean and dirty items can prevent the risk of contamination by pathogens. – Two Extra-large (Clean Side and Soiled Side) loading doors for easy loading and unloading. Door safety blockage : doors cannot be opened while program is running and cannot be opened at the same time to avoid any contamination. – Automatic drum positioning system with positioning block: before the user can open the loading door, the drum is automatically positioned to reduce risks of contamination.